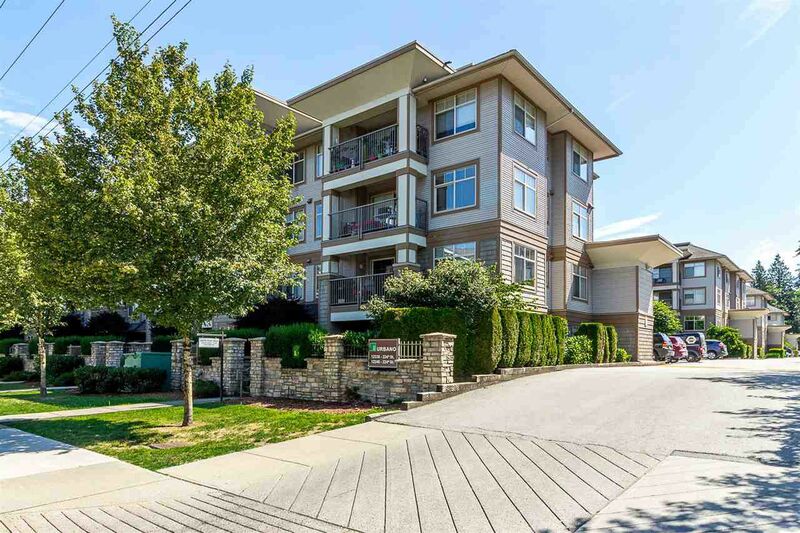 Upscale living in the heart of Maple Ridge! This one bedroom and den TOP FLOOR unit in The URBANO is just steps away to everything you need... shopping, restaurants, transit, leisure centre, library, theatre and schools! The vaulted ceilings & open floor plan, electric fireplace with open kitchen & breakfast bar makes this space feel bright and spacious! Two amenity rooms for larger events plus an exercise room and lounge. Pets and rentals allowed.. perfect for Investors, First Time Buyers and anyone wishing to downsize!